Do you have a Tracked digger or excavator for sale? Are you looking to sell your Tracked digger or excavator? 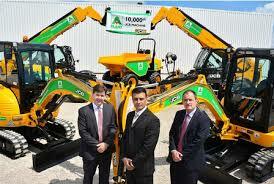 Do you want to sell you Tracked digger or excavator for cash? If you have an old second hand tracked digger or excavator for sale, we can still purchase it from you for cash. Get it touch with Sell My Digger today to get a fair quote on your excavation machinery. We’re the UK’s number one digger dealer and buyers. Tracked excavators and diggers are sometimes known as track hoes, and are similar in size and nature to crawler excavators. These versatile machines can come with a variety of different reaches and power abilities. 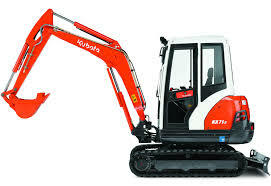 These types of diggers usually come with a bucket attachment, however there are often plenty of other attachments which you can add to the excavator to perform the exact task you are looking for. Most big names like Caterpillar and JCB make tracked diggers, so we trust these machines can do a great job and stand the test of time. We are experts in tracked digger sales and so are certainly the best people to speak to if you have one no longer in use. No matter how used, we will be happy to take a look and offer you a fair price for your digger. All you have to do is simply get in touch with us using our online form. Simply let us know a bit about the digger or excavator, with the inclusion of any photographs where possible, and we’ll take that information in order to present you with a fair quote on your digger in a timely fashion. You’re under no obligation to sell your tracked digger to us once we have given you our quote. So if you have a tracked digger or excavator for sale or are you looking to sell your tracked digger or excavator, why not give us a contact us today!